All you hoping and waiting for a fourth season of The Mighty Boosh, will be thrilled to know that a bunch of the same guys behind the show got together and made a movie! 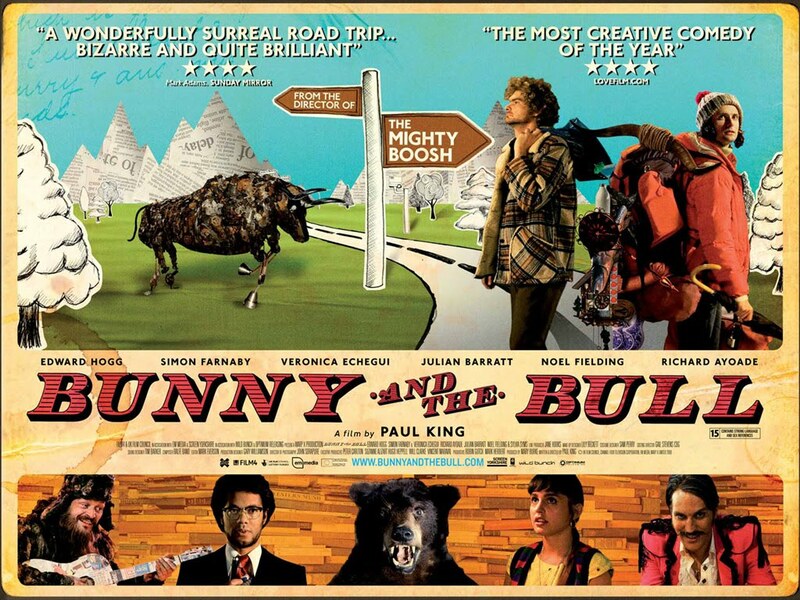 Now before you go totally bananas in ecstatic celebration, know that Bunny and the Bull is not related to the characters from The Boosh. Still, it has the same actors, much of the same magic surrealism, and some of the humor that made the Boosh great. The story is average, and the acting is nothing special. But it makes up for it all in abundance with the visual fantasy that tickles your eyes and crazy characters that will have you grinning from ear to ear. But I keep coming back to the visuals, and that is really what this soon to be cult film is all about. Some scenes are breathtakingly beautiful, and just like the Boosh, this is a film that will have you wonder if somebody slipped something in your drink.